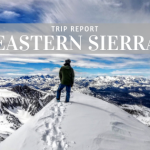 Tahoe Mountain Sports has been recognized by the Keep the Sierra Green Business Council as an environmentally friendly business! Check out their website for more local businesses doing their part for the environment. Also, look for their logo on our home page. The paragraph below is our writeup from their webiste. 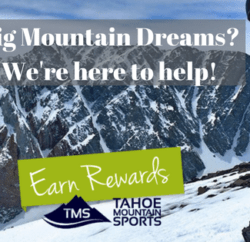 Tahoe Mountain Sports is a community oriented outdoor gear retailer operating out of North Lake Tahoe since 2004. 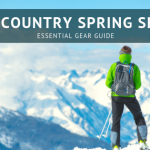 We offer the highest quality outdoor gear and clothing through our store in downtown Kings Beach as well as our website: TahoeMountainSports.com. 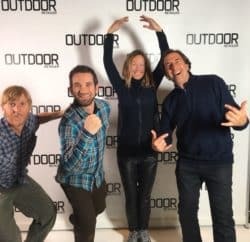 We practice leave no trace outdoor ethics on all of our adventures and encourage our customers to do the same. We strive to run the most environmentally friendly business that we can. All of our shipping and packing materials used in our day to day operations are reused or recycled. All of our employees are given a reusable water bottle to cut down on waste and are encouraged to bike to work. Also, all internal communication is in person or via email. 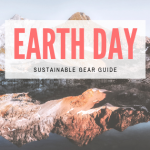 We offer many environmentally friendly products to the community including: stainless steel Klean Kanteens to replace plastic water bottles, Mountainsmith bags and packs made from recycled plastic bottles, and reusable Chico bags to replace paper or plastic shopping bags. We are proud to be a recipient of the Keep the Sierra Green Business Recognition Program and will continue to strive to be more environmentally friendly and sustainable all the time. 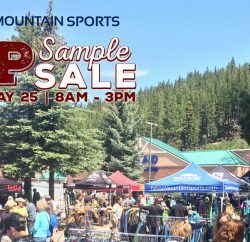 Previous PostLake Tahoe Mountain Biking - Rim Trail and Missing Link Next PostHuge Tent Sale Starts Today - Check it!